Última edición por wic150 el Lun, 18 Mar 2019, 01:43, editado 4 veces en total. Agregue un fix para los que usan promods 2.30 y ets2 1.31. Important: Might Work with any other Environment type mods. Please Do not Re-upload in any other hosting site/s keep the original download link. 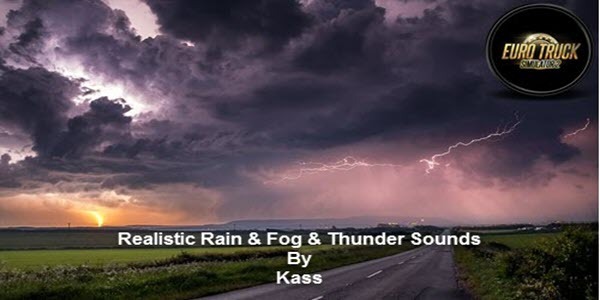 IMPORTANT: Put This Realistic Rain & Thunder Sounds V1.1 mod In your Mods Folder and activate it As High Priority (Top).